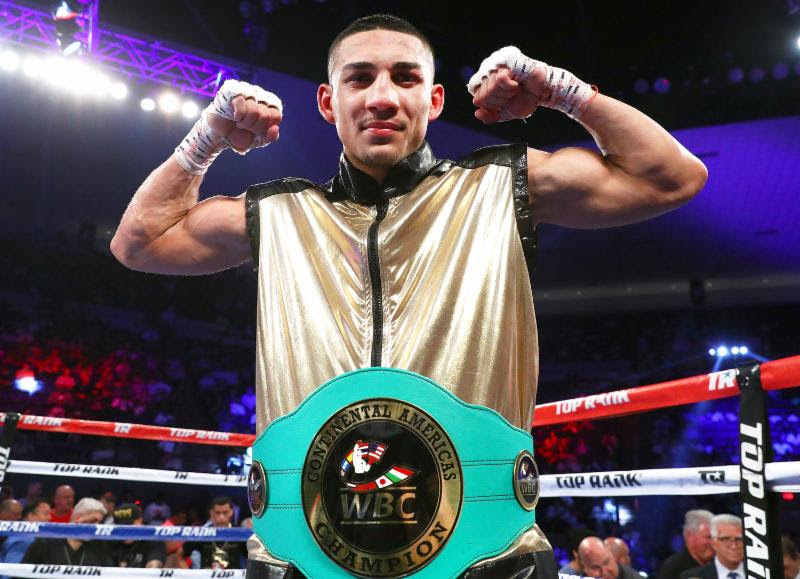 NEW YORK (December 5, 2018) -Boxing's top prospect and world ranked lightweight, Teofimo Lopez will be back in the spotlight when he takes on the battle-tested Mason Menard at The Hulu Theater at Madison Square Garden. The scheduled 10-round bout will be seen live on ESPN as a support bout to the lightweight unification battle between Vasyl Lomachenko and Jose Pedraza. Lopez and Menard will vie for the coveted and vacant NABF title. Lopez, who now resides in Las Vegas, returns to to his birth city as the 21 year-old was born in Brooklyn, will look to continue the momentum that he started to gather after taking out William Silva on July 14th on ESPN. That win upped his mark to 10-0 with eight knockouts, and made him a world-ranked fighter as he is now rated #11 by the WBA and #14 by the WBO. In Menard, he will be facing an opponent who has a terrific mark of 34-3 with 24 knockouts. Menard is no stranger to taking out prospects as he has wins over Bahodir Mamadjonov (19-2) and Eudy Bernardo (21-0). "I am more than ready for this fight and super excited that I'm back in my hometown fighting for 3 belts. It's #TheTakeover come Saturday night! The celebration after the win will be one to talk about," said Lopez. "He's the most exciting prospect in boxing, and he loves to turn it up at the garden- I'm expecting quite a show," said David McWater of Split-T Management.